Hardcover, 9.75 x 11.75 in. / 480 pgs / 400 bw. "The Cuban Revolution was from the beginning a global news story..."
Text by Mark Sanders, et al. 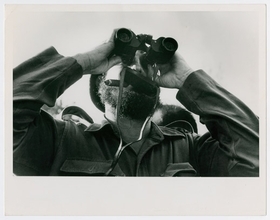 From the earliest days of the Cuban Revolution, the Revolutionary High Command was intensely aware of the power of the photographic image to advance the ideals of the Revolution, at home and abroad. If portraying the human side of its leaders was an important part of the Revolution’s visual ideology, so too was its conception and depiction of the Cuban populace: as early as 1959, the High Command organized mass rallies in Havana assembling more than a million Cubans from throughout the island to celebrate the victory of the Revolution. 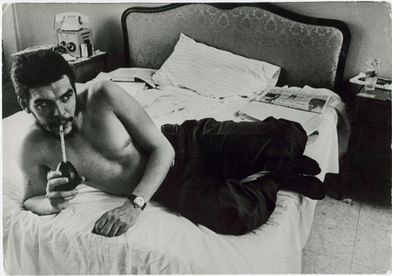 Cuba in Revolution captures the complexity and the energy of this moment in all its contradictory beauty. It gathers a colossal array of photographs by both known and anonymous photographers into five thematic, chronologically overlapping sections: “Pre-Revolutionary Cuba: 1933–1959”; “The Years of Struggle and Victory: 1953–1957”; “Sierra Maestra: The Revolutionary Movement: 1956–1959”; “Bay of Pigs 1961”; and “Picturing the Revolution: 1959–1968.” From Constantino Arias’ portraits of poverty and wealth in pre-revolutionary Havana to the photographs of the dead Che Guevara in Bolivia, this volume offers an epic photo-narrative of the Cuban story. Iconic pictures of Che Guevara by Alberto Korda and Rene Burri are complemented by snapshots of Fidel Castro playing golf or hunting in the Soviet Union. Raúl Corrales’ pictures of revolutionaries playing the conga drums during the Cuban Missile Crisis also reveal a different face of the Revolution; portraits of individual Cubans by Henri Cartier-Bresson present an equally fluid vision of everyday life in Cuba; and the political and the personal merge in startlingly intimate portraits of Che Guevara by Andrew Saint-George and images of the forbidden pop culture of the mid-1960s by José Figueroa. Throughout the publication there is an exhilarating tension between the heroic portrayal of the leaders—Castro, Guevara and Cienfuegos—and the dramatic portrayal of a people in the midst of revolutionary transformation. 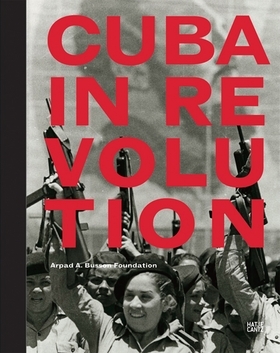 Featured image is reproduced from Cuba In Revolution. FORMAT: Hbk, 9.75 x 11.75 in. / 480 pgs / 400 b&w.